Westport is saying goodbye to Perrin Delorey, the 10-year-old Greens Farms Elementary School student who died this week in an automobile accident. The Delorey family will receive friends at St. Luke Church on Monday (June 18, 4 to 8 p.m.). Friends are also invited to Perrin’s mass of Christian burial on Tuesday (June 19, 10 a.m., St. Luke Church). Interment will be private. In lieu of flowers, donations can be made in Perrin’s honor to Boy Scouts of America Greater New York Councils or National Down Syndrome Society. In addition, Westport Little League Baseball has announced plans for a tribute tomorrow (Saturday, June 16, 1:30 p.m. at Kowalsky Field). Perrin’s baseball and hockey teammates, and his Boy Scout troop, will participate. Perrin loved baseball — particularly the Boston Red Sox. 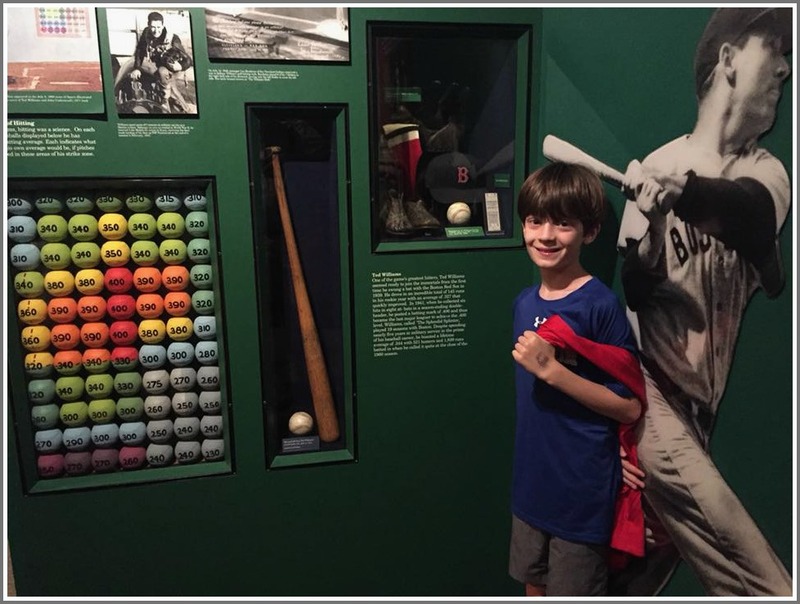 Less than an hour before the automobile accident, he had visited the Hall of Fame in Cooperstown. His parents and grandparents have been very active Little League supporters. “We grieve with them,” says Westport Little League Baseball and Softball president Jeffrey Brill. Perrin Delorey at the Baseball Hall of Fame in Cooperstown, with Ted Williams. This entry was posted in Children, Sports and tagged Perrin Delorey, Westport Little League Baseball and Softball. Bookmark the permalink.